I Instagram’d this image on Tuesday. 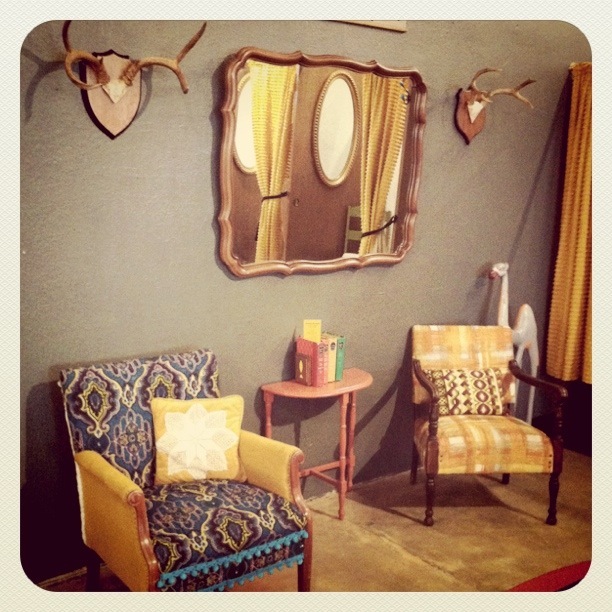 It’s a cute little corner that Elise Vaughn designed at Brass Razoo. Vintage perfection! Love this! those chairs are so cool! so cute….i love that mirror too. is that wood, is looks like it, but thought maybe it was brass but via camera looks wood. is it for sale?